– León: Sound recording of the text written as a psychogeographical act, without historical or didactic intention, readed on February 20, 2015 in Aleatorio Bar, coinciding with the poetry book presentation of “Quién es, quién llama” (David Garcia Coello, LVR [ediciones, 2015). – Shael: Recorded in 2015, inspired by the wave changes that produce certain effects under different layers of voices available samplers. – Carlota es el bosque: Song composed for the film “Oscillation”, directed by Dídac Gimeno in 2014. – Atthis “Slow black“. Belonging to “Sentimiento oceánico” (CD/Cassette, 2015). Atthis are David Coello Garcia (programming) and Raquel Martinez Muñoz (piano). – Kleine Kätze “Ophir“. Belonging to “Kleine Kätze” (CD/Cassette, 2015). Kleine Katze is a project of total sound-improvisation with Beatriz Vaca Campayo (Narcoléptica). – Sector 3: From ” Límites del espacio iluminado ” (Self-released CD, 2013). – No Yukio: Recorded in 2012, inspired by the Japanese military martial rhythms and sound recordings of Japanese preparatory training for military confrontation in the Second World War. – Since forests are forests: “Señales naturales (06-09)” (self-released CD with a compilation of songs written between 2006 and 2009). – Taut: ” Señales naturales (06-09)” (self-released CD with a compilation of songs written between 2006 and 2009). Visual directed by Mario Bravo Avilés. All sound works by David Coello Garcia – desde los bosques (dlb). 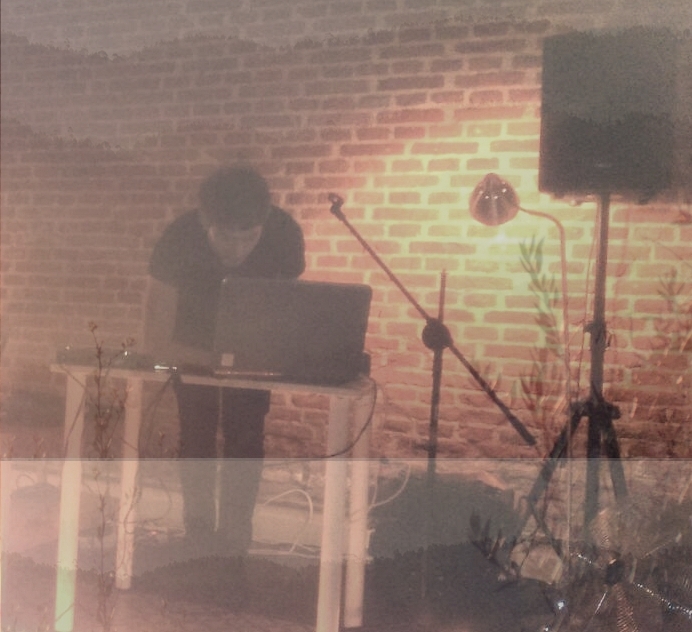 Desde los bosques (dlb) is the experimental, dark ambient and sound-art project of David Coello Garcia. He has self-released the albums “Límites del espacio iluminado” (2013), “Señales naturales 06-09” (2012), “Ambient for painless memories” (2010), “Since forests are forests” (2008) and “¬¬¬” (2006). He is part of Atthis, with the self-relased CD/cassette “Sentimiento Oceánico” (2015); and Kleine Katze, with homonymous self-released cassette. He has also been a member of Emmedium, La Catástrofe Ultravioleta, and Ana y yo. He has published the poetry books “Quién es, quién llama” (LVR [ediciones, 2014) and “Cuatro” (Baile del Sol, 2015). He appears in the compilation “One minute autohypnosis n23” of the label Mute Sound. He has performed at In-Sonora Festival 2014, Valiente INverso 2014, at Festival of Young Art CAM, etc. He has also collaborated with the company of experimentation and research in the performing arts Loco-motora Teatro in the sound setting. In 2011 he composed the sound-art for the exhibition “En esencia”, organized by IED-Madrid.